CALL TODAY TO SCHEDULE YOUR FREE EVALUATION TO DETERMINE IF YOU ARE A CATARACT OR LASIK CANDIDATE. 13 DIFFERENT TESTS WILL BE PERFORMED TO SEE IF YOU ARE ELIGIBLE. What will your vision be like after LASIK? 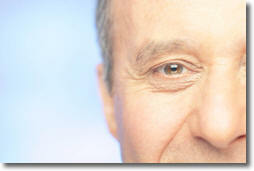 The visual results of LASIK are usually very rapid; you may be able to see more clearly within hours of the procedure. However, it is common for vision to fluctuate for several weeks or months as your eyes heal. Your individual results will depend on a number of factors, such as your age, the amount of correction you need, and your individual healing characteristics. The goal of LASIK is to enable you to see as well as - or perhaps better than - you currently see with glasses or contacts. LASIK is the most commonly performed vision correction procedure in the United States. Long-term studies indicate that LASIK is safe and effective. Consistently excellent results and LASIK's rapid healing have made it extremely popular with patients. It is widely accepted by eye doctors as a legitimate alternative to dependence on glasses and contact lenses. However, there are risks with any medical procedure. Dr. Sklar will explain these risks, any complications and possible side effect that you might experience. What to Expect During Surgery. LASIK is performed in a surgical suite in the Beaumont Professional Building (Royal Oak, MI). The entire procedure takes approximately 15 minutes per eye. The day of the procedure you will be given a mild sedative. There are no needles or injections. Numbing drops allow the LASIK to be performed pain free. Read the box below for information on the type of Laser technology Dr. Sklar uses. 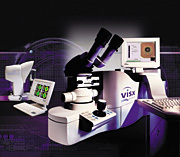 Our VISX Star S4 excimer laser has state of the art technology in optics, precision eye tracking, and sophisticated variable beam delivery combining to provide the most predictable precise laser vision correction possible. The S4 laser includes the latest updates in hardware and software, making sure every available improvement is implemented to expand the laser's capabilities and accuracy. The VISX Star S4 excimer laser removes the smallest amount of corneal tissue of any laser available. This gives shorter treatment times and greater flexibility to personalize the laser treatment resulting in precise consistently accurate outcomes every time.